The above photo is courtesy of Iowa State athletics communications. 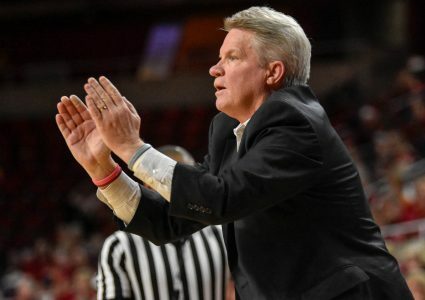 There are a handful of factors that have attributed to the success of the Iowa State women’s basketball team this year compared to last. It’s possible that none have been more important than the emergence of Kristin Scott. Scott is coming off of her fourth perfect shooting night of the season on Saturday in No. 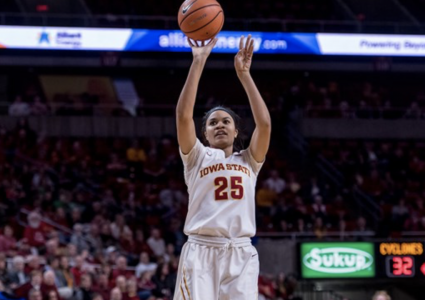 23 Iowa State’s win over Oklahoma State, cementing herself in the starting lineup as the hottest hand on the team. She finished 11-for-11 from the field and tallied seven three-pointers. Scott’s numbers are something that hasn’t been touched in Iowa State history and is near the top of the Big 12 conference as well. The sophomore is the first player in program history to have multiple perfect shooting nights from the field, as well as the first to do that four times in the same season. 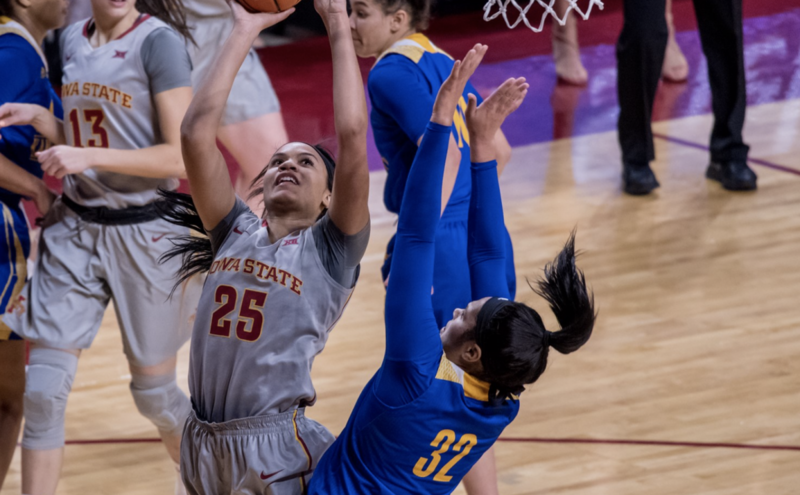 Not to mention, she sits second in the conference in field goal percentage at 63.1 percent and leads the Big 12 in the same stat from beyond the three-point line with a 49.0 percent clip. While Scott is heating up, Fennelly wants his team to have a productive week as it enters the “bye week” next Monday-Wednesday. 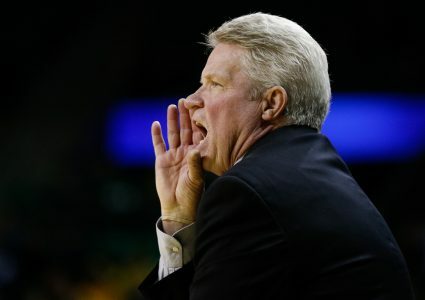 The Cyclones will take on Kansas State – a team they beat by 38 points in their first matchup – on the road on Saturday after facing a Texas Tech squad with a 1-7 Big 12 record at Hilton tonight (6:30 on Cyclones.tv). Freshman Ashley Joens has some familiarity with one of the Lady Raiders, and one that is doing quite well this season, too. The Iowa City native played against Texas Tech’s Chrislyn Carr, who is from Davenport, when the two were both in the AAU circuit. Carr has been exceptional for Texas Tech this season as she leads her team scoring 19.7 points per game. That number is good for second in the Big 12, with the only player scoring at a higher rate being Iowa State’s Bridget Carleton. With a win against Carr and the Red Raiders, the Cyclones will move into a tie with West Virginia for third place in the league standings. Now, we’ll just wait to see if they have it in them.